At a quick glance, it’s easy to make superficial assumptions about the effectiveness of your sales funnel. Without further analysis, the initial conclusions you draw from the data may be misleading because a broad overview of your sales performance is not a true indicator of sales potential. Once you audit your sales behaviors and dissect the data, you may discover smart ways to improve your overall results. In this article, we outline four common misconceptions salespeople have about sales funnel management and optimization alongside clever solutions for each. In sales, there is a belief that more is better. Simple math suggests that doubling your leads will double your sales. Theoretically, yes. Of course, doing so is a resource-intensive exercise. For sales teams to extract more value out of their existing assets and initiatives, they need to work smarter, not harder. Salespeople should be quick to connect with new leads. Research shows that “firms that tried to contact potential customers within an hour of receiving a query were nearly seven times as likely to qualify the lead (which we defined as having a meaningful conversation with a key decision maker) as those that tried to contact the customer even an hour later—and more than 60 times as likely as companies that waited 24 hours or longer.” To close the gap between the number of leads generated and deals closed, salespeople should aim to respond to new leads as soon as they come in. Your overall lead-to-close ratio may be deceiving. Although you may improve your sales performance with each change you make to your sales process—such as shortening your average lead response time—a more strategic approach to sales funnel optimization includes segmenting your funnel by lead source. The 2014 B2B Sales Benchmarks report found that among B2B businesses, customers and employees referred the highest quality leads. The report’s analysis states that customer and employee referrals had a 3.63 per cent lead-to-deal conversion rate. By comparison, website leads had a 1.55 per cent lead-to-deal conversion rate. Social media leads were only 1.47 per cent likely to convert to sales. Paid search leads, sales-generated leads, and marketing leads each had less than a one per cent conversion rate. 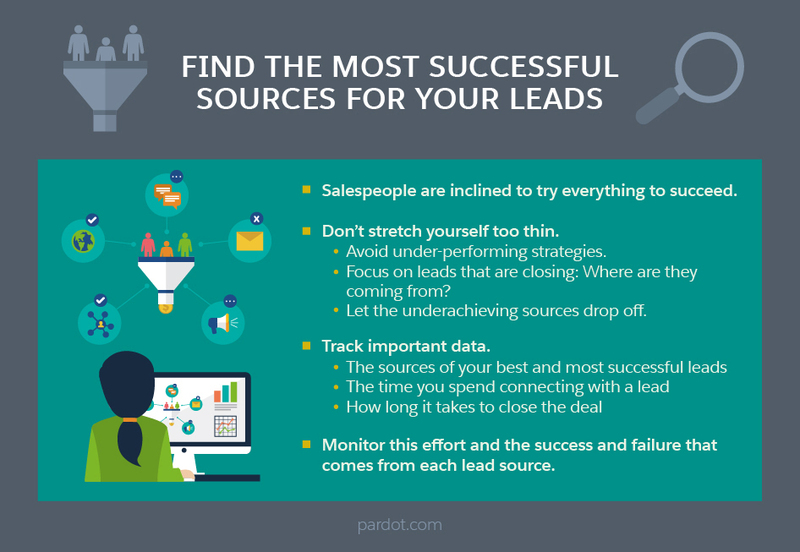 Then, he explains, “In order to be productive in sales, it is vital to track the sources of your best and most successful leads. Understand the time you spend connecting with a lead and eventually closing the deal. Track this effort and the success and failure that comes from each lead source.” This more targeted approach to sales funnel management and optimization may allow you to more strategically allocate your time and effort. 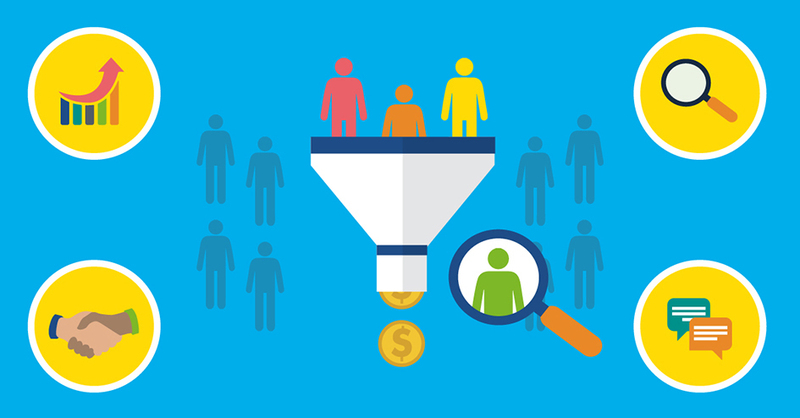 By segmenting your funnel by lead source, you identify which channels drive prospects that are most likely to convert into a sale. As more sales automation tools crop up, sales teams everywhere are eager to shorten their sales cycle. Believing that automation can expedite stages and steps in the sales process, many sales reps seek to spend less time interacting with prospects. They also assume that with less effort they may even secure more sales. Counterintuitively, elongating the sales cycle may actually improve your sales performance. For true, consultative selling, salespeople may want to spend more time hand-holding potential clients through the decision making process. While sales automation software helps reduce repetitive, time-consuming tasks, it should primarily allow salespeople to focus on what’s most important: time spent with clients. 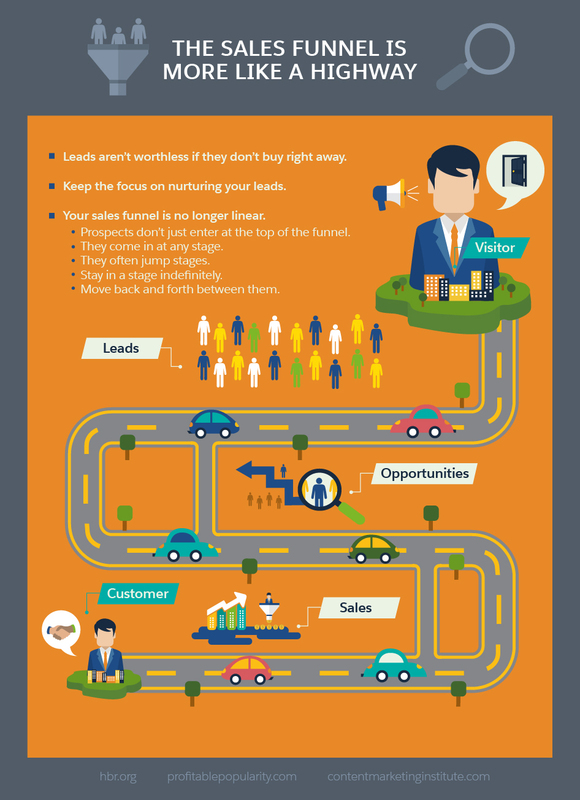 When salespeople look at their funnel, they may see a number of prospects stuck at a specific stage. After a certain number of days, emails, or phone conversations, sales reps may categorize those leads as dead. Here, sales teams make the mistake of assuming those leads will never convert—and they would be wrong. Indeed, the modern day sales funnel is no longer linear. To adapt to changing times, salespeople should avoid abandoning relationships with leads who are not yet ready to make a purchase. A potential customer’s company may receive new funding from investors and your contact may finally have enough budget to purchase your solutions. Your prospect may receive a promotion, giving them the authority to make new purchasing decisions. A former lead may switch jobs, earning a new position that grants her the ability to retain your services. The client is no longer satisfied with their current vendor and is actively seeking a replacement solution. Of course, since commissions are not issued on the basis of future sales potential, you will still want to spend a majority of your time engaging leads who may purchase your products or services immediately. At the same time, you will want to allocate some of your energy toward periodically connecting with former prospects and evaluating whether or not to loop them back into the sales process. Perhaps in three months you may connect with an old lead who is ready to close a deal.